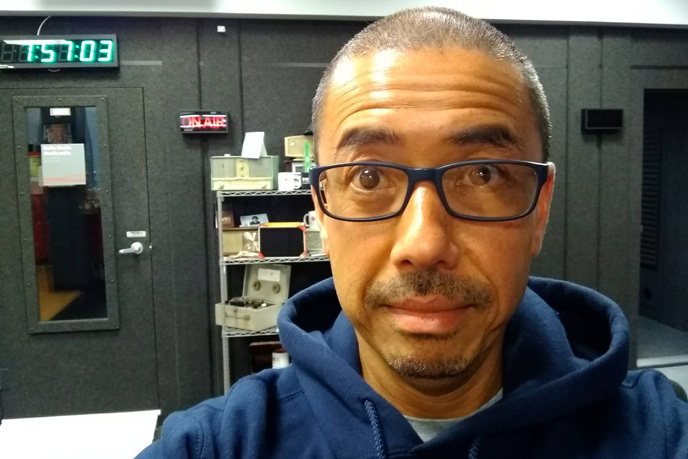 I'm part of Wilmot Responds, which is helping local refugee sponsorship groups. Part of their role is to help make these newcomers feel welcome (www.wilmotresponds.ca/groups.php). I designed the Wilmot Responds logo and website, I manage its social media, plus I produce news releases to share the organization's activities throughout Waterloo Region. In December 2015, I came up with the idea of enlisting the people of Wilmot township - plus elected officials who represent us - to come together and make a video to offer a warm welcome to our new friends and neighbours. The project gained local media attention in the New Hamburg Independent and The Waterloo Region Record. Individuals, families, church congregations, businesses, service clubs, township staff, our local hockey team: everyone shot their contributions on phones and tablets, which we spliced together to form a compilation of 52 videos featuring over 350 people. 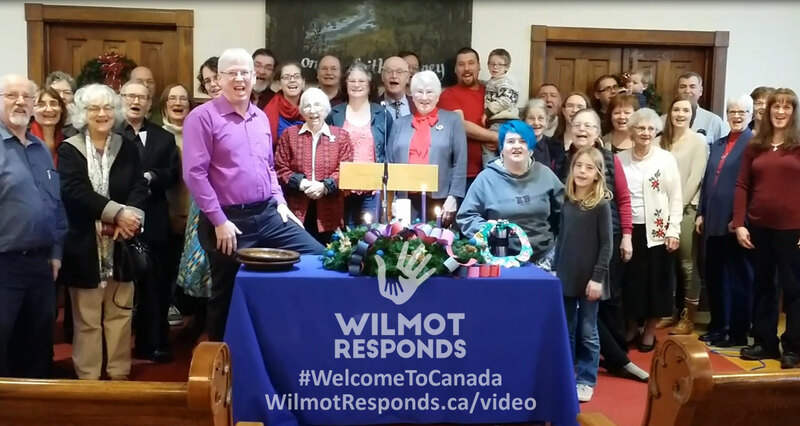 The video - titled "Wilmot Says Welcome" - starts with Wilmot's Mayor Les Armstrong, and also includes Councillors Jeff Gerber and Barry Fisher. Harold Albrecht MP and Michael Harris MPP also contributed. Submissions included English, French, Spanish, German, Celtic, Arabic - and bagpipes. Together, we shared the feelings of so many here in Wilmot, an optimism that is repeated in countless communities across the country. We're so glad you're here to join us and participate in the Canadian experience. Welcome to Canada. Music: "Hard Times Come Again No More" - Stephen Foster. Performed by Diana and Mike Erb.